Kenya finished the Rio Olympics with 13 track and field medals, second only to the United States who finished with 32. That’s a gulf, not a gap, but after reading details about how thoroughly the team was sold up the river by their own Olympic committee, I’m impressed that Kenya managed that many. The Associated Press got their hands on a government-mandated internal report on the activities and finances of the National Olympic Committee of Kenya (NOCK), and it turns out that they more or less marooned Olympic teams so that they could siphon off money and Nike apparel for their own personal gain. Athletics Kenya officials ran into trouble earlier this year after they were caught ferreting away payments from Nike, and it seems that their colleagues at the NOCK joined in as well. Since the committee began its investigation, Kenya’s Olympic team leader has been charged with stealing $256,000 and three other senior Olympic committee officials - two vice presidents and the secretary general - face charges of stealing boxes of Nike apparel that were meant for athletes. One VP was arrested hiding under his bed in an apartment filled with brand new Nike equipment. Nike gives the NOCK over $1.2 million a year. Incredibly, the NOCK hasn’t kept any records on how they spent all that money. Officials did, however, say that they allocated 900,000 extra dollars to fly 330 people to Rio, even though flights had already been settled by that time. The sports ministry paid nearly $900,000 more than it should have for 330 plane tickets to Rio, mostly for officials, after a company was hired just to do the bookings. 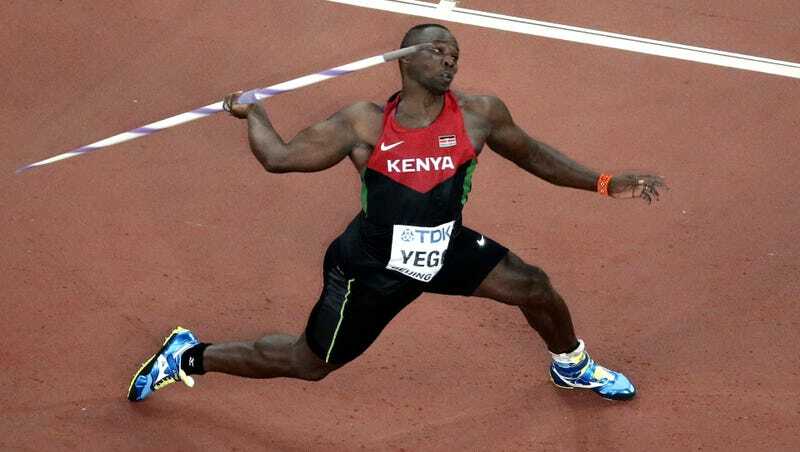 Julius Yego won silver for Kenya in the javelin. The NOCK did nothing to help him before the Games and even actively sabotaged his chances by bungling his transportation to Brazil. Yego was based at the so-called High Performance Training Center with the tiny gym in the buildup to the Olympics. He paid to join a nearby private gym that had better equipment. Yego was put in the high altitude town of Eldoret, where heavy rain at that time of year can wash away roads and he was often unable to travel to the stadium to train. Even when he got to the stadium, Yego had to deal with the fact that the javelin runway was about seven meters shorter than the standard length. When Yego got to the airport to travel to Rio, there was no plane ticket for him. Both the men’s and women’s rugby teams were screwed over in different ways. The men’s rugby sevens team went on a three-week high-altitude training camp, but returned to the capital Nairobi for a week and then traveled to Rio, which is at sea level, two weeks before their competition, nullifying any benefit from the high-altitude training. Following the women’s rugby team’s brawl, team officials lied and said the players were fighting “over a man.” Players later admitted it was over prize money promised them by the Kenyan government. The AP has more details from what seemed like a huge mess for the athletes, and a huge party for officials.